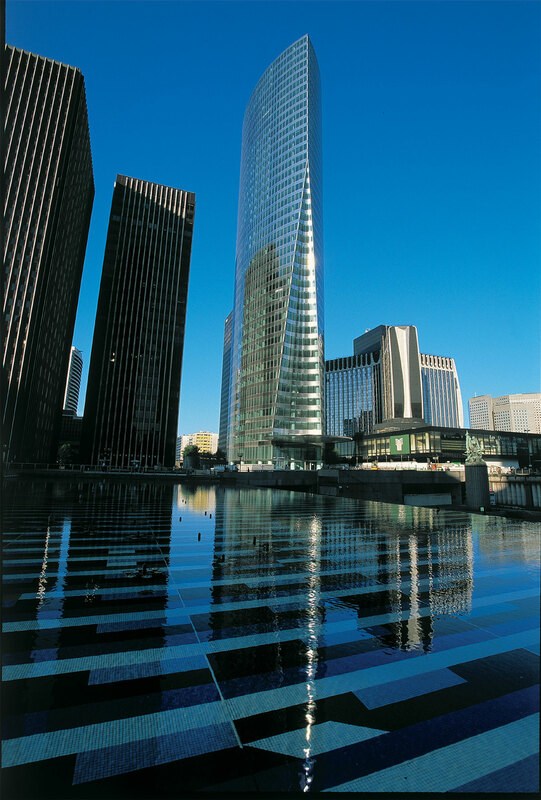 Completed in April 2001, EDF Tower is a 41-story, 624,414-square-foot office tower in the La Défense business district west of Paris. 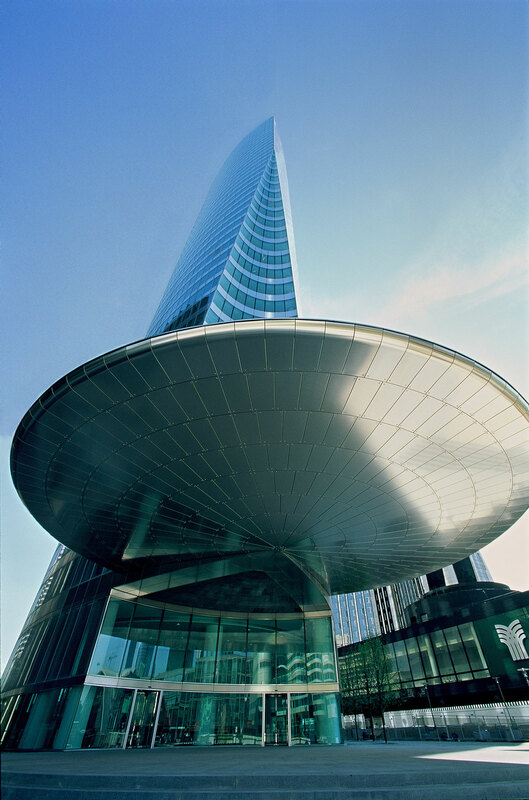 The architectural firm of Pei, Cobb, Freed & Partners designed the elliptical tower with a façade clad in alternating bands of stainless steel and lightly reflective glass panels. 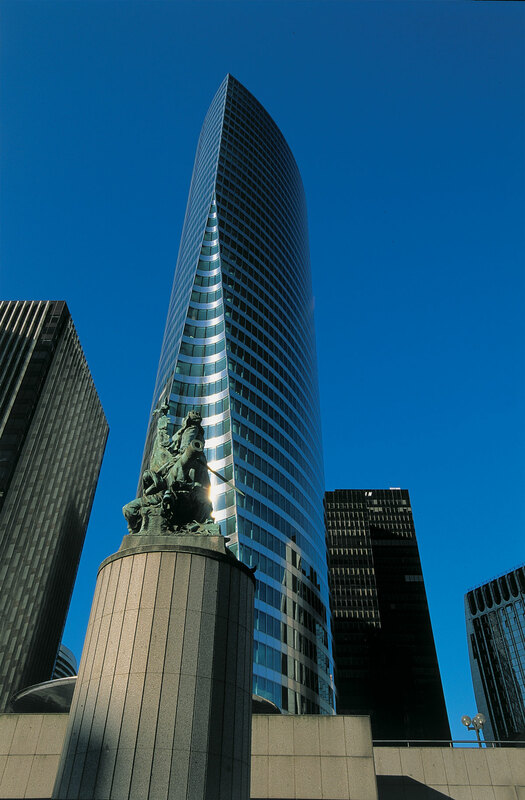 A special design feature is a conical shape carved into the building's base up to level 26.